High Level Marketing (HLM), Michigan's premier website design firm, specializes in creating beautiful, functional web designs for our clients. We have been nationally recognized by 10 Best Design as one of the best web design firms in the industry. At HLM, we hand-tailor brilliant designs for our customers, merging beauty with practicality and functionality. By working with us with us, we will collaborate with you on solidifying your brand while enhancing your customers' web experience. People do business with companies they trust. Our designs will make you look professional, knowledgeable, and capable of meeting your customers' needs. We have the extensive industry knowledge and experience to exceed your brand's unique needs. Every website we design is first and foremost built to attract the highest possible amount of new customers from search engines like Bing, Yahoo and Google creating the foundation effective search engine marketing. 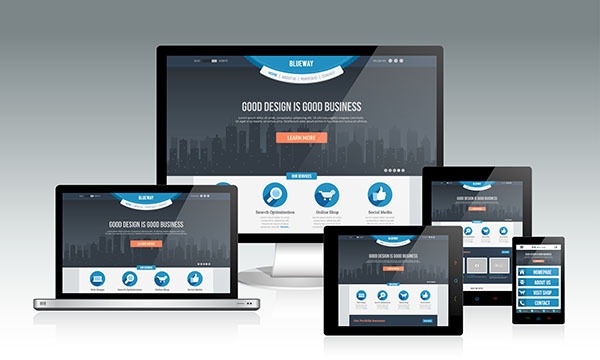 Our talented team of designers can create mobile and responsive designs that will reach your customers who are on-the-go. Your mobile or responsive site will make your customers' lives easier, and, in turn, they will show their appreciation with their wallets. Your website will be optimized for all devices and provide an advantage in the search engines, bringing you more visitors. "High Level Marketing created the web page for the non-profit organization that I volunteer for. Any time any of the staff or myself had questions or concerns we would contact them and always received answers on a timely basis. Everyone we have dealt with has been extremely friendly and patient with us.I handle most of the changes on the web site and have had the most contact with HLM and would recommend this firm to anyone seeking help with or wanting a new web page." Forget large upfront costs, we'll create an affordable monthly payment plan for you. For all your website design needs, High Level Marketing is here to help. Contact us today and learn how we can get you more business!